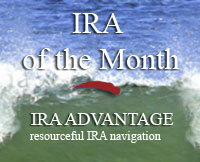 The IRA of month for July/August is a example of how Real Estate Notes are a great real estate investment opportunity. Recently we had a client referred that was interested in acquiring a mobile home park with his retirement account. The retired Doctor had sold all his stocks and had the cash sitting there waiting to be invested. He knew he wanted to take advantage of today’s Real Estate market though he wasn’t quite sure how. Ultimately, an investment was made in Real Estate notes. During the past several months we have had a half dozen clients invest in Real Estate notes. A typical investment is purchasing notes on properties at 50% of today’s values so the equity coverage should be excellent, the unique part of this transaction is that the Notes also in some cases have an equity participation clause where the Note buyer receives 50% of the net equity at the time of a future sale of the property. In one local investment firm’s offerings the notes are typically $30k to $55k each with a 5 year term. The properties securing the Notes have been bought from Banks at a discount thereby offering a large equity position. According to the firm the properties securing the Notes are located in some of the best cash flow markets in the country with cash flow on the properties routinely 3 times the debt service. The properties range from older ranchers to homes that are less than 10 years old depending on the location. The interest rates on these notes are 9%. Adding in the equity participation, 12% to 18% returns are what the investor could see as the housing market rebounds in the next 5 years. Notes offer an opportunity to take advantage of today’s Real Estate market without having to own the property. It is critical an investor understand what position the note is in and be able to quantify the value of the property being financed. In the Doctor’s case he was buying a first at 50% loan to value paying him 11%. The property being financed was a condo in Palm Desert that was being purchased for $75k, only a couple of short years ago the property had sold for more than $200k. In a worst case scenario the buyer defaults and he Doctor is now the proud owner of the condo for an investment of $37,500 plus any expense incurred to recover the property; this was a problem he almost looked forward to!